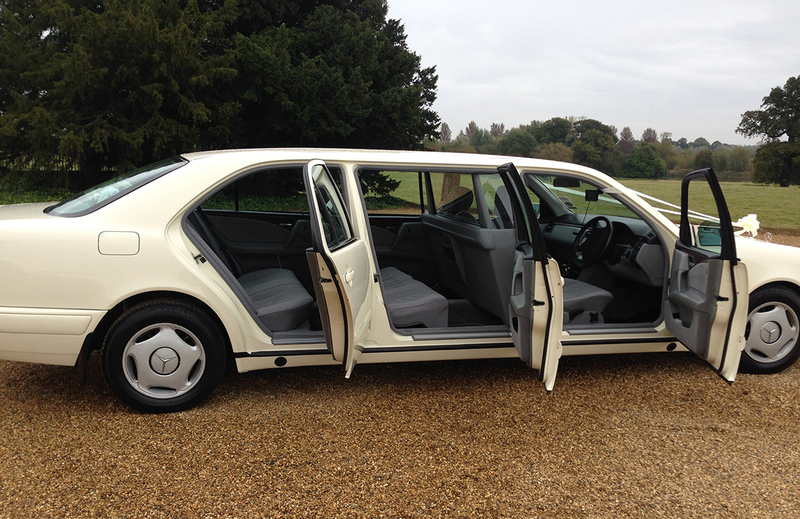 This Mercedes E-Class Limousine is the ideal car for moving lots of people at once in complete comfort and safety. 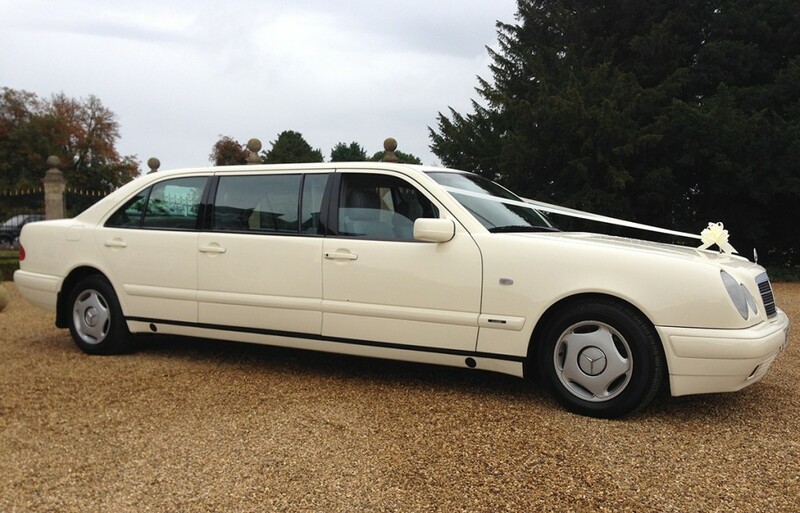 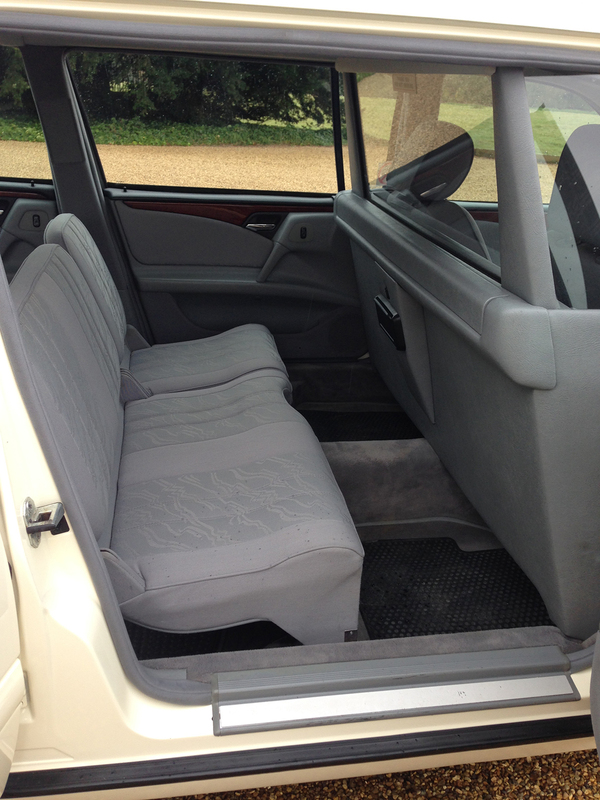 Seating 7 passengers It is ideal for larger bridal parties and can accommodate bridesmaids, page boys, flower girls the mother of the bride your Nan or all your best friends and close family members. 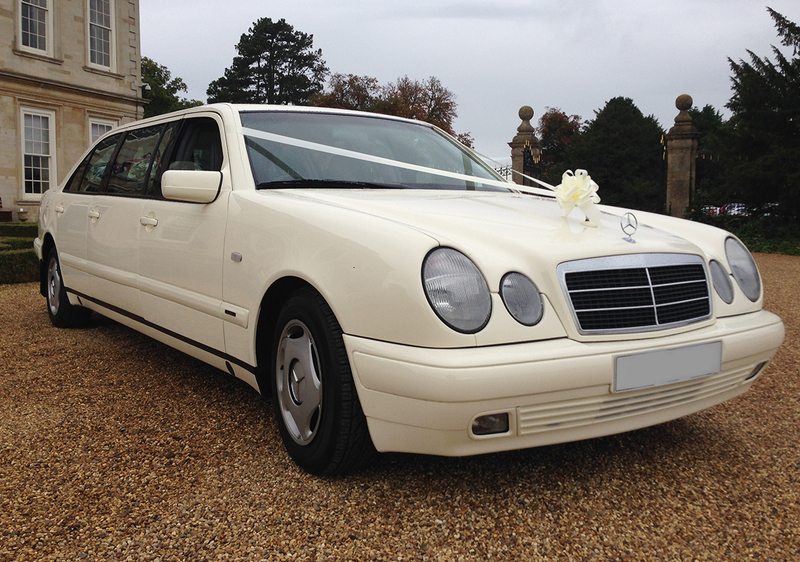 There is no better way to travel than in our classy Mercedes E-Class, the choice of many a celebrity you will really feel like a star as you glide along in this luxury motor car. 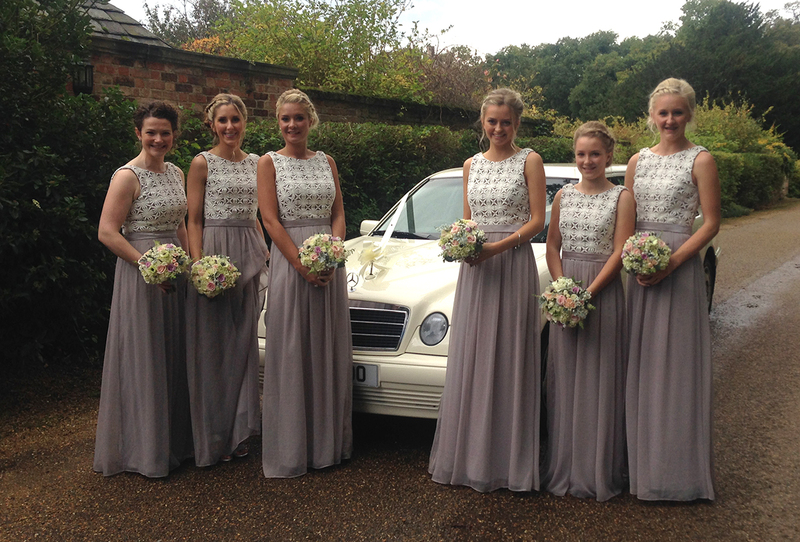 Finished in a neutral Cream colour complemented with a Grey cloth interior it goes with just about any wedding colour scheme. 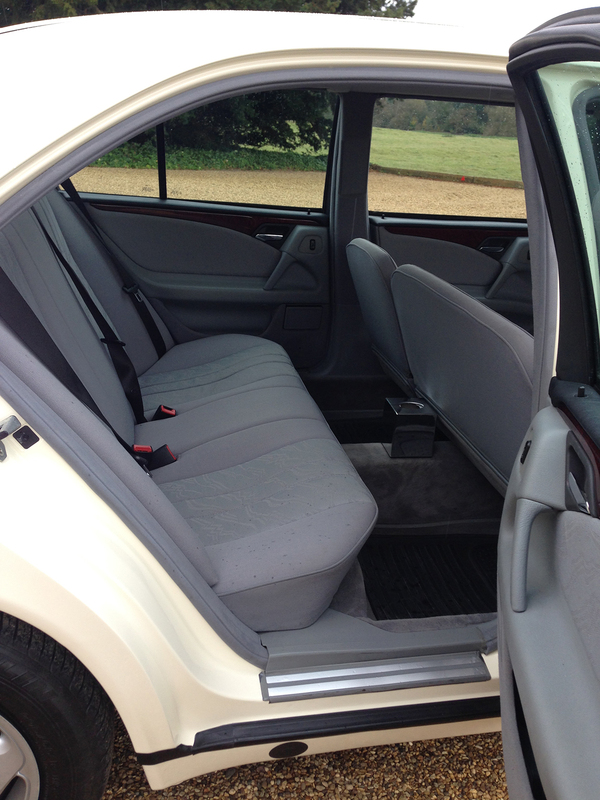 We can also decorate the car in bows and ribbons to match your wedding theme and the main bridal car also.